Hello everyone! 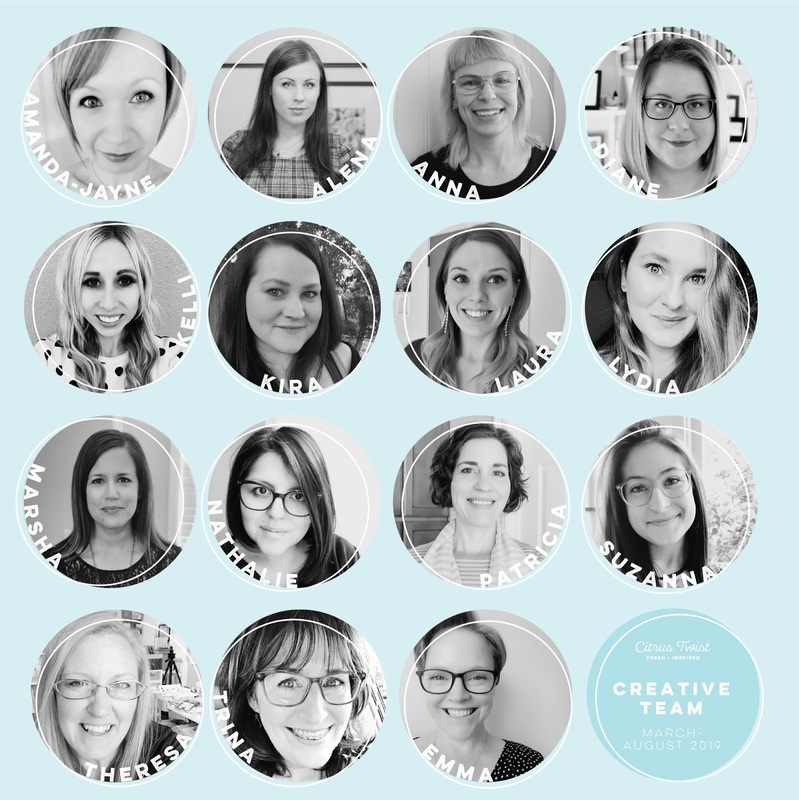 I am beyond thrilled to introduce our fabulous new Creative Team to you today. These female artists work in such a broad range of styles and formats and I know you will just love the inspiration they share with you as they create with our Life Crafted kit. What is your favorite colour to scrapbook with? My fave color is Indigo blue, but I love to scrapbook with all the colors! If you had to pick one song as your “theme song” – what would it be? Pharell William's "Happy" OR Justin Timberlake's, "I Got This Feeling..."
Why did you start scrapbooking? I started scrapbooking when I had my first baby. I wanted to make an album about my son's first year. Are you a morning or night crafter? I like to create in daylight, but more often it turns out to do it at night. What is your favorite colour to scrapbook with? Almost all of my projects there is a yellow and mint color. Favorite music/podcast to listen to or movie to watch while you craft? Most often I work watching (listening) TV series: detectives, thrillers. If you had to pick one song as your “theme song” – what would it be? Hmm, I don't know. But this song is supposed to be fun. Why did you start scrapbooking? I started to scrap to keep our kids and my familys memories and because that I love beautiful papers and to create. Are you a morning or night crafter? I craft whenever time is, lol! I'm addicted! What is your favorite colour to scrapbook with? Pink and Yellow (oops that's two...). Favorite music/podcast to listen to or movie to watch while you craft? I never listen to music or watch movies while I craft. If you had to pick one song as your “theme song” – what would it be? Maybe Walk The Moon's "One Foot" (In Front Of The Other), encourage me to never give up, keep on going! 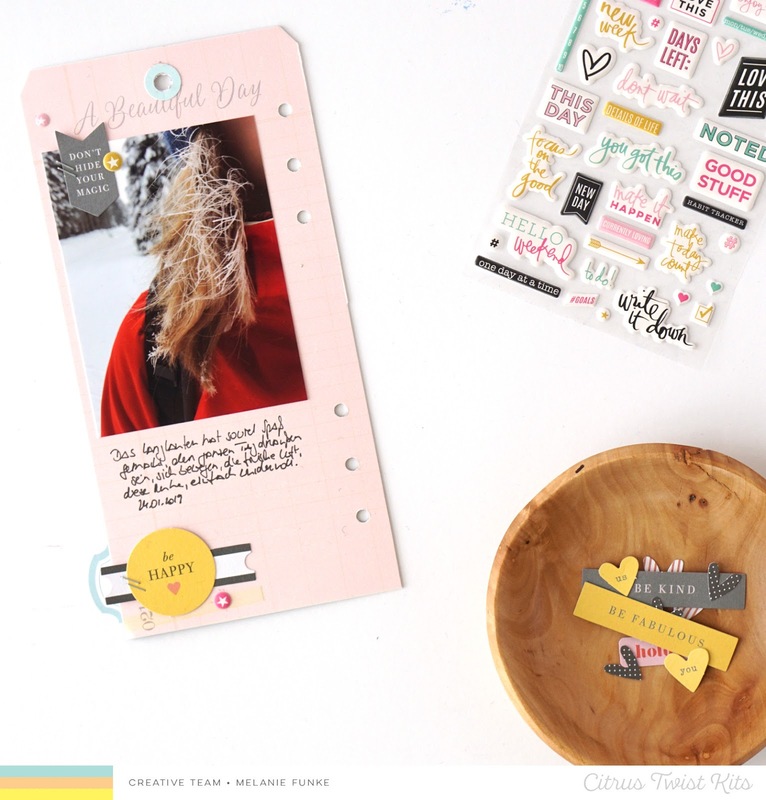 Why did you start scrapbooking? A scrapbook store opened in our small town and 16 year old me LOVED all the gorgeous goodies (not a lot has changed) and it seemed like a great extension to my existing photography hobby! Are you a morning or night crafter? Definitely morning. Early morning. Love the quiet before the world wakes up. Plus my brain doesn’t function after 9pm! Favorite music/podcast to listen to or movie to watch while you craft? Either a podcast (anything true crime related) or Real Housewives of anywhere on the TV! If you had to pick one song as your “theme song” – what would it be? Here It Goes Again by OK Go. Or whatever the last jingle was that got stuck in my brain! 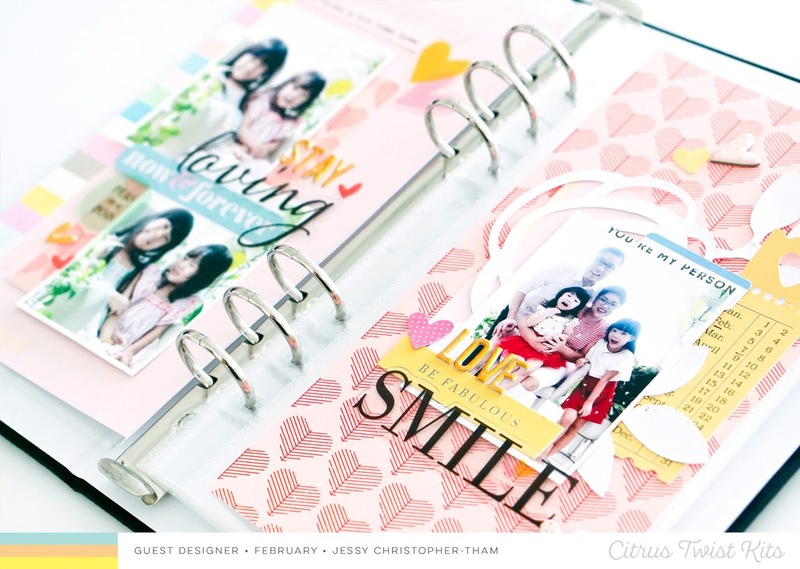 Why did you start scrapbooking? 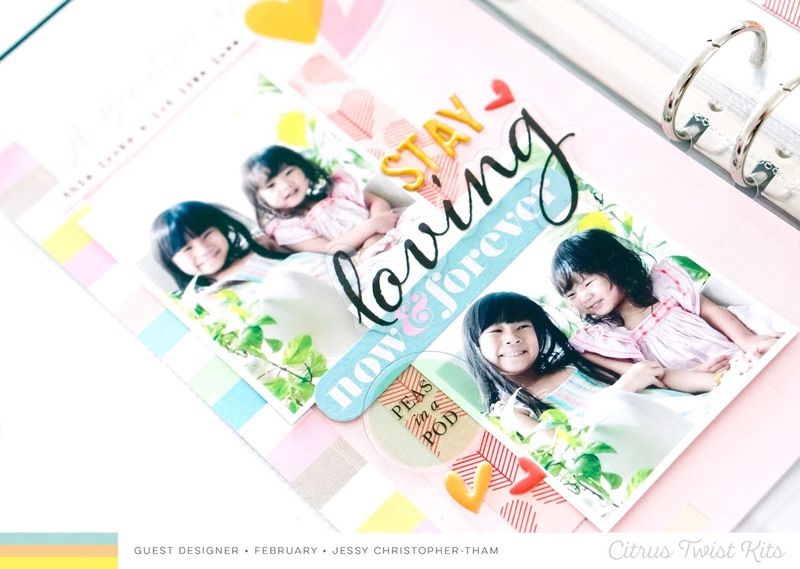 I started scrapbooking as a way to document my life and now my kids’ lives. Are you a morning or night crafter? Definitely a night crafter. What is your favorite colour to scrapbook with? Mint is my favorite color to create with. Favorite music/podcast to listen to or movie to watch while you craft? I love watching Netflix on my phone while crafting. If you had to pick one song as your “theme song” – what would it be? My theme song would be Ain’t No Mountain High Enough. 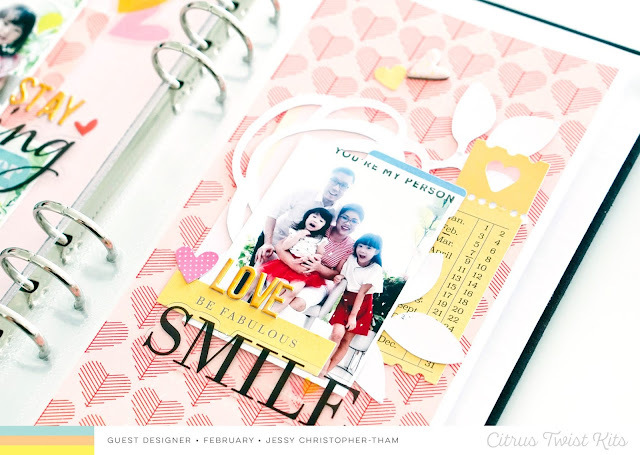 Why did you start scrapbooking? I started scrapbooking late 2016, after a little nudge from a friend of mine who also scrapbooked. Are you a morning or night crafter? I suppose I’m more of a morning than night crafter, my ideal time being between 10am-2pm. What is your favorite colour to scrapbook with? Favorite color is teal, but pink ends up on more projects than any other color! Favorite music/podcast to listen to or movie to watch while you craft? Usually an 80s playlist on Spotify. If you had to pick one song as your “theme song” – what would it be? Footloose by Kenny Loggins. 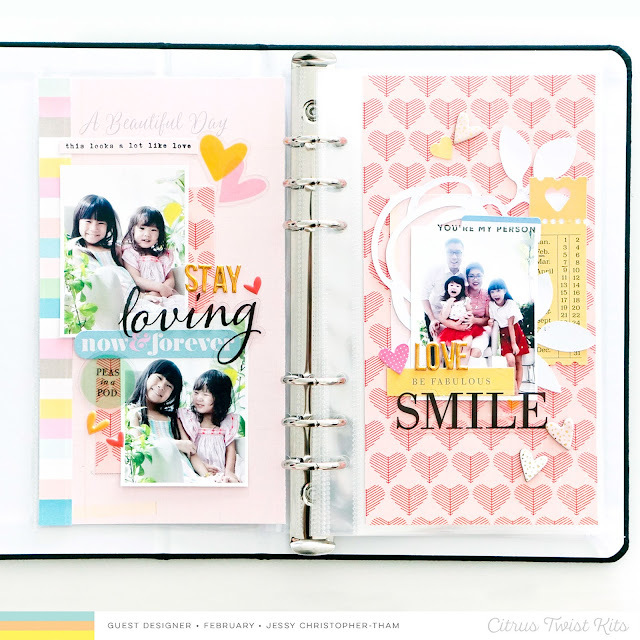 Why did you start scrapbooking? There are big gaps in my childhood where I don't have any photographs. I realized this when doing a family history project in high school and it was devastating knowing that there are huge gaps of my life undocumented. From that point on, I became an obsessive photo taker. I started scrapbooking a few years post high school to organize all the photos I was taking. Are you a morning or night crafter? I'm usually a mid-day crafter 🙂. What is your favorite colour to scrapbook with? White, light pink, and gold. Favorite music/podcast to listen to or movie to watch while you craft? Harry Potter movies, or replaying a tv series I've seen a ton so I don't have to pay attention to it and I can focus on my craft. If you had to pick one song as your “theme song” – what would it be? If you had to pick one song as your “theme song” – what would it be? Something from Taylor Swift. But she has so many great songs, it's hard to choose just one! Are you a morning or night crafter? I’m a 4:30 AM riser, so you’ll find me at my desk before the sun! What is your favorite colour to scrapbook with? I think my most used color is Seafoam and shades of blue. Favorite music/podcast to listen to or movie to watch while you craft? You can find me listening to any number of books from my Audible subscription. If you had to pick one song as your “theme song” – what would it be? Something acoustic with a lot of pretty lyrics (Sorry that’s a hard question). Favorite music/podcast to listen to or movie to watch while you craft? I love cheesy/romantic movies. One of my favorites is You’ve Got Mail. If you had to pick one song as your “theme song” – what would it be? I Hope You Dance by Lee Ann Womack. 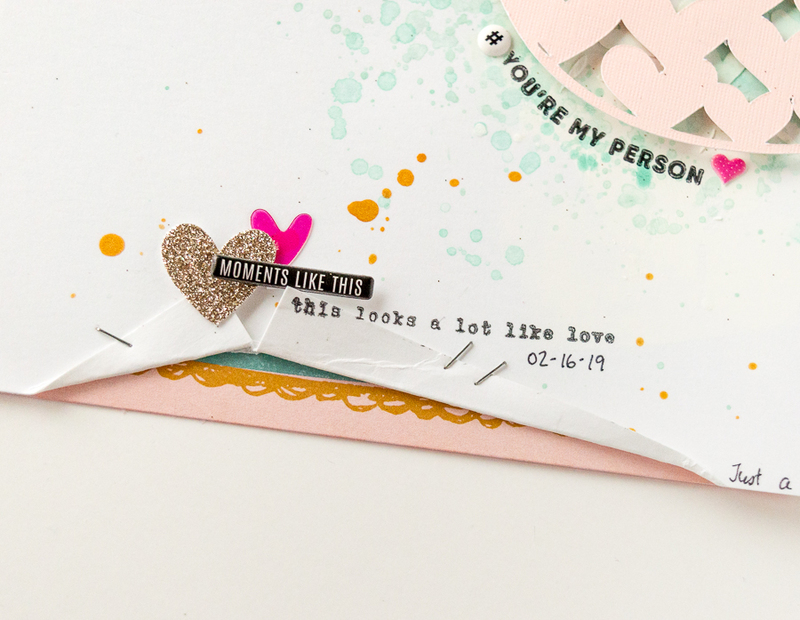 Why did you start scrapbooking? I have always kept a journal, and discovered Scrapbooking when I became a mom, but it was not until my kids visited my family for the first time (in 2015) that I felt the need to recreate the moment in a piece of paper. So you can say that I scrapbook to be able to relive that moment in time. Are you a morning or night crafter? I think I do my best work late at night . What is your favorite colour to scrapbook with? I really don’t have an specific colour to scrapbook with, I think what best describe my choice would be black and white with a hint of rainbow. If you had to pick one song as your “theme song” – what would it be? One of my favorite songs of all times, and I think the one is always playing in the good and bad times would be Celia Cruz’s “La Vida es un Carnaval” – Life is a Carnival. 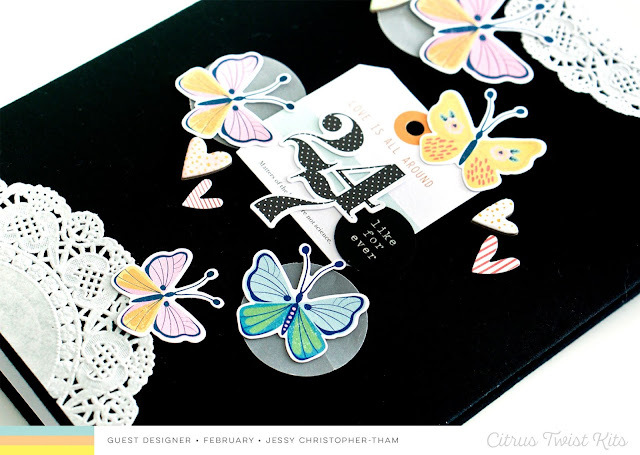 Why did you start scrapbooking? To create a Life Story Adoption album for my daughter. Are you a morning or night crafter? 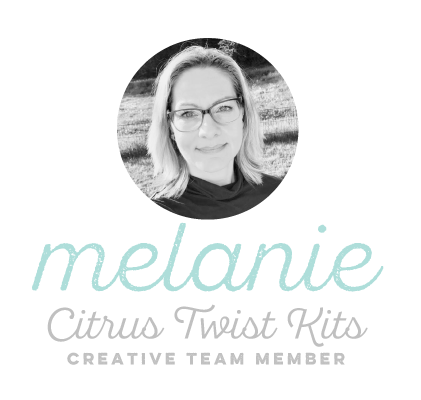 A transitioning night owl crafter to a morning crafter. What is your favorite colour to scrapbook with? Can I say ALL! Favorite music/podcast to listen to or movie to watch while you craft? Apple Radio, usually Christian Radio or my Playlist. 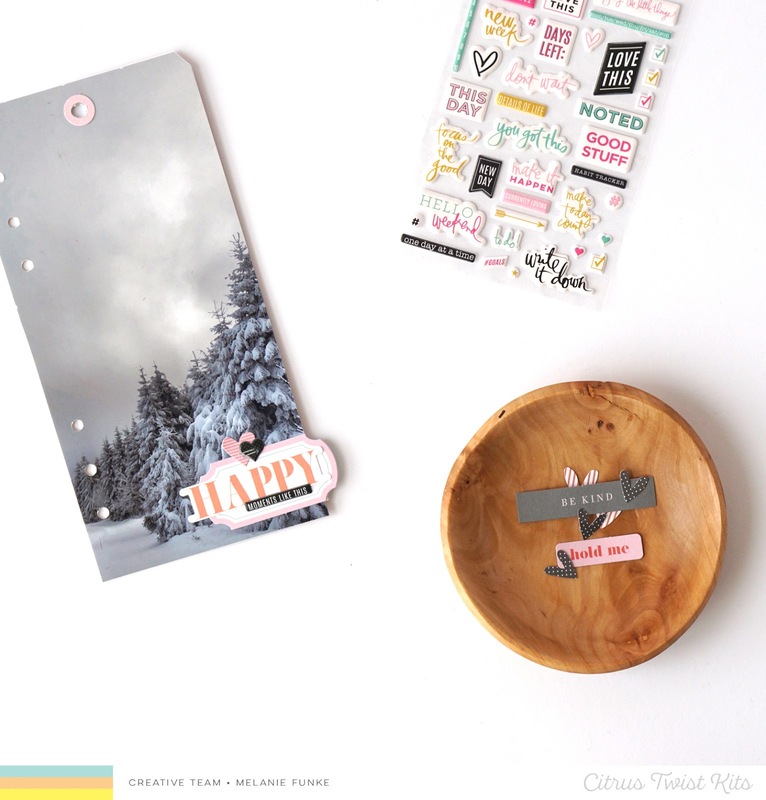 Why did you start scrapbooking? I started scrapbooking over 15 years ago, but since then my style and reasoning has definitely changed. In 2014 I was diagnosed with Behcet’s Disease, a rare autoimmune disease. As my Behcet’s progresses, it has started to affect my central nervous system causing loss of memory among other things. Because of this, I am SO thankful for the ability to document my favorite memories as they happen to help me remember even the smallest of details. I like to think it turns a less-than-perfect situation into something pretty darn perfect! Are you a morning or night crafter? Definitely a night crafter. I'm the farthest thing from a morning person, so morning crafting isn't even an option. haha! What is your favorite colour to scrapbook with? I'm a big fan of white space, so my initial thought was white. But! I tend to use a lot of blush pink and mustard in my projects. Favorite music/podcast to listen to or movie to watch while you craft? Music is a huge part of my life and what I listen to most when crafting. I listen to all sorts of music that I've placed into various Spotify playlists to throw on while I'm crafting. If you had to pick one song as your “theme song” – what would it be? Oooo, this is such a tough question. I have so many! I would say Wildflowers by Tom Petty could be considered my "theme song" but How I'll Always Be by Tim McGraw is the song that 100% sums me up as a person. Why did you start scrapbooking? I started when I was pregnant with my son, because a co-worker was doing custom stamped baby shower invitations and I just loved what she was doing! So I purchased a stamp and some ink and cardstock, and the rest is history. Are you a morning or night crafter? I scrapbook during the day when our kids are at school. What is your favorite colour to scrapbook with? Pink and turquoise are my favorites of all time! Favorite music/podcast to listen to or movie to watch while you craft? I am all in when I craft but right now I like to listen to scrapbooking podcasts! If you had to pick one song as your “theme song” – what would it be? Ellie Goulding “Love Me Like You Do”. 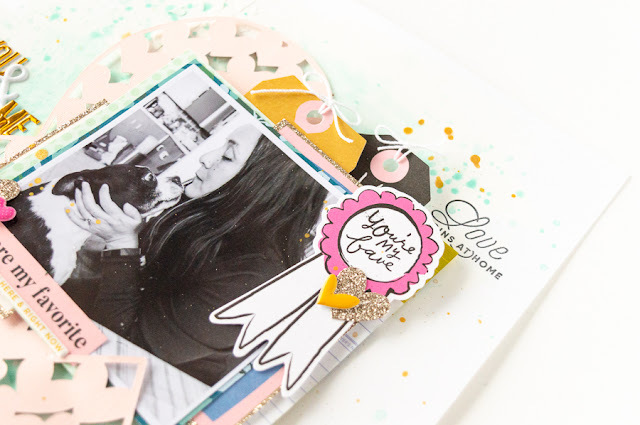 Why did you start scrapbooking? I started scrapbooking, first, when I was seven and next when my daughter was born. I've always loved doing art projects and had a paintbrush in my hand by the time I was two. My grandma shared her old scrapbooks with me when I was little and that lit a fire in my little girl's artist heart. Are you a morning or night crafter? My favorite time to scrapbook is midday, especially on the rare sunny days we see here in Seattle, when colors come alive. What is your favorite colour to scrapbook with? Wow, this is a hard one. Can I say "rainbow" for all the colors?! If I had to choose one it would be turquoise/mint, but I really can't limit myself to just one. Favorite music/podcast to listen to or movie to watch while you craft? My daughter introduced me to the music of Caamp. It's easy to listen to, the lyrics are beautiful and it has a nice rhythm, too. If you had to pick one song as your “theme song” – what would it be? Oh my, I don't like having to choose just one. I love Faith Hill's Fireflies as it captures the magic of my childhood. Life Crafted with our February Guest Designer - Jessy Christopher-Tham! Thank you for letting me share today! Thank you Trina for this amazing opportunity to guest for CTK. You can see more of Jessy's stunning work on her blog and Instagram! Nathalie with you today with a new layout that celebrates those little moments that make your day, on in this case my baby's day. Since we are at the end of the month, i used what i have left of my Love Stories and Add-on kit to create this page. It all started with a bit of mixed media on the background. I used the Vicki Boutin acrylic pop paints that were included in the CTK mixed media kit in July. I chose the teals to create the background and bring some of the accents in the papers. Once the paint dried, i added a few textured hearts using texture paste and set it aside to dry. I pulled a cut file from The Cut Shoppe and cut the large ampersand from salmon colored cardstock. 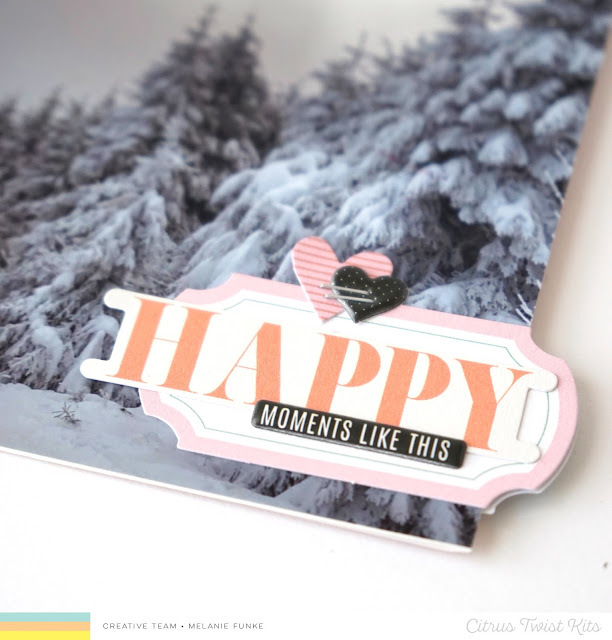 A bit of foam adhesive attaches the cut file to the background and adds dimension to the page. To back and layer the picture, i pulled papers from the add on kit and also the Love Stories kit. 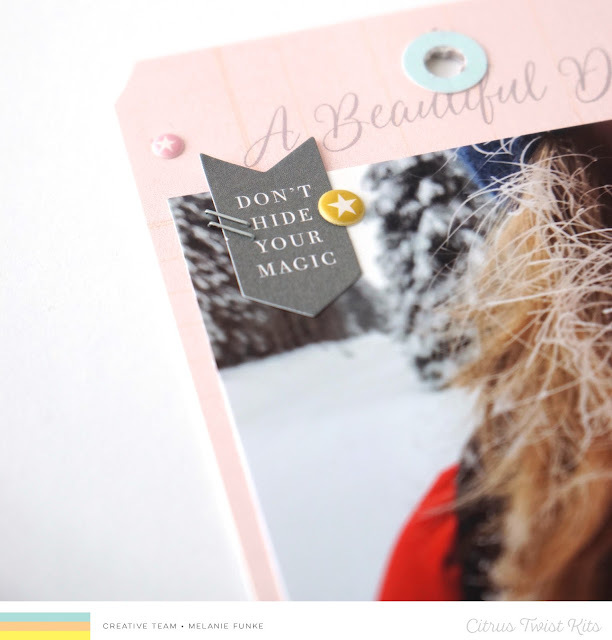 All the embellishment clusters and title were also created by mixing goodies from both kits. To complete my visual triangle, i added a small cluster at the bottom of the page. I simply cut a slit into the background, and use the folded edges to repeat the elements of the clusters. A few sentiments images were added using the Love Stories stamp set. I really hope that you are inspired by today's project. Having both kits to mix and match on this page made it so easy to pull it all together. Remember to share with us your creations and be prepared for a new beautiful kit! Melanie here with another page in my Life Crafted Album. 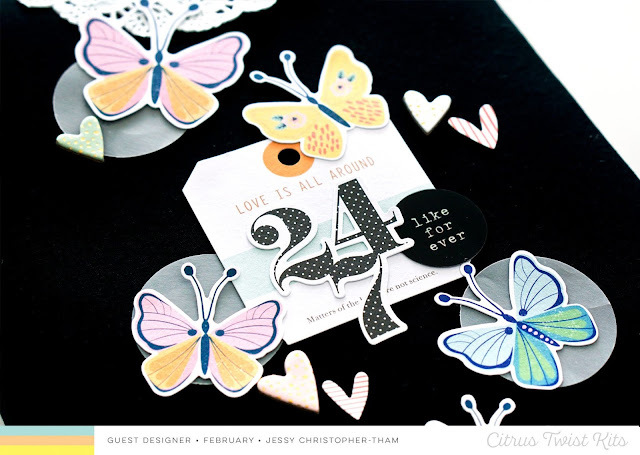 For this Layout I used the February Life Crafted Kit and the adorable puffy stickers from the Scrapbooking Add-On Kit. I used the tag from the Kit for my photo. I glued it down, cut around it and then punched the wholes in it. I used some tags and hearts for embellishing my picture. I kept it simple because I wanted the photo to stand out. I glued a paper from the kit on the backside of the tag and used a picture of my frozen hair which was taken the same day as the one from the front side. Again I used some tags for embellishing my layout. This time I made a little cluster on the bottom of the tag and another one on my picture. 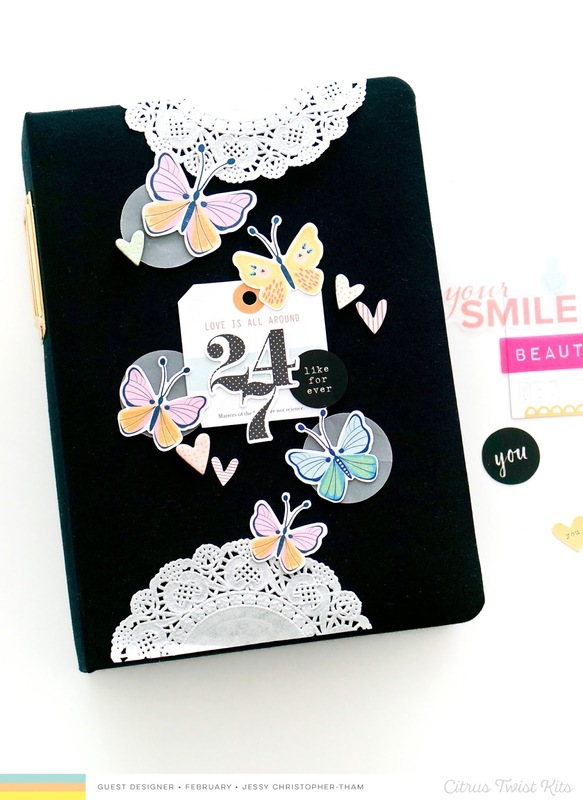 I finished the layout by adding some puffy stickers and my journaling and called it good. It's so easy and fun documenting your stories in this cute little album and it's so versatile. That's what I love about it so much. 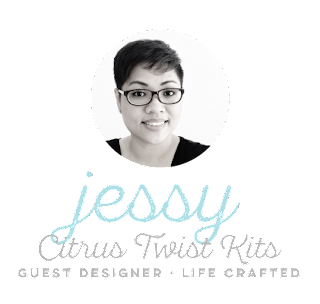 This is my last blogpost for Citrus Twist Kits and I am a little sad about it because being on this team and working with all the talented ladies and the gorgeous products was wonderful but life got a little busy lately and I felt I needed to take a step back. I will see your work in the CTK Facebook Group and on Instagram though!